The area near where I live is known for a popular walkway around a small mountain. The mountain’s name is Mauao in the Maori language (or Mount Maunganui, or simply “The Mount”). 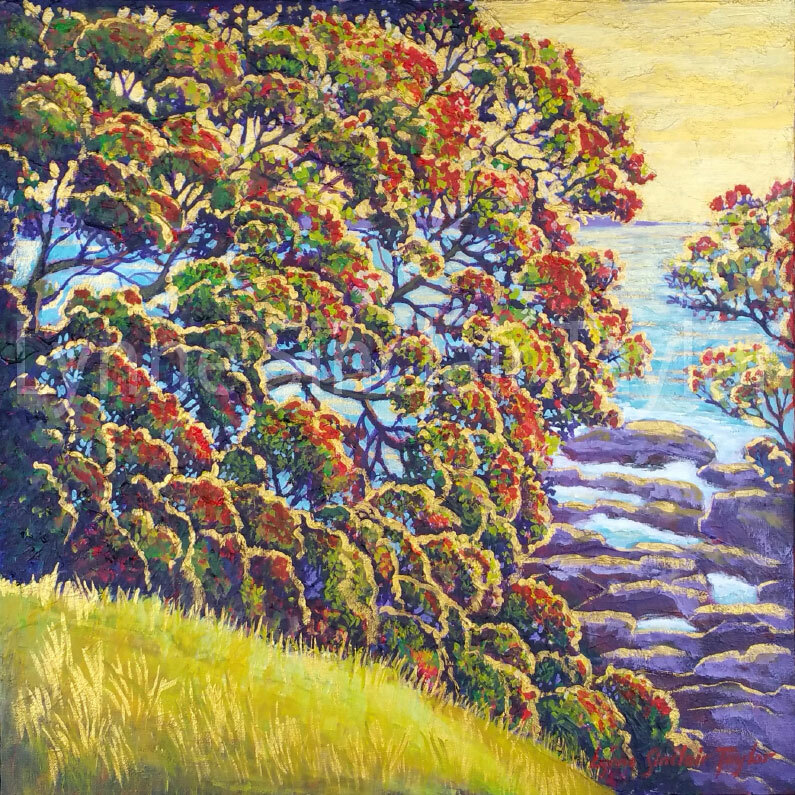 Around Christmas time each year the stunning pohutukawa trees, which grow around the mountain edge, are in full bloom. This walkway was the inspiration for the painting of one of those trees which is highlighted by gold paint to give it that summer glow.